In 2015, we began a new era with the renovation of our sanctuary, offices, conference room, bathrooms and all other improvements made to our campus, including a welcoming entryway courtyard. With a capacity of 285, our sanctuary is the most sacred of spaces within Temple Akiba. Home to our four Torah scrolls, seating is set in a semi-circle to signify a united congregation who shares in vision, sound and worship. 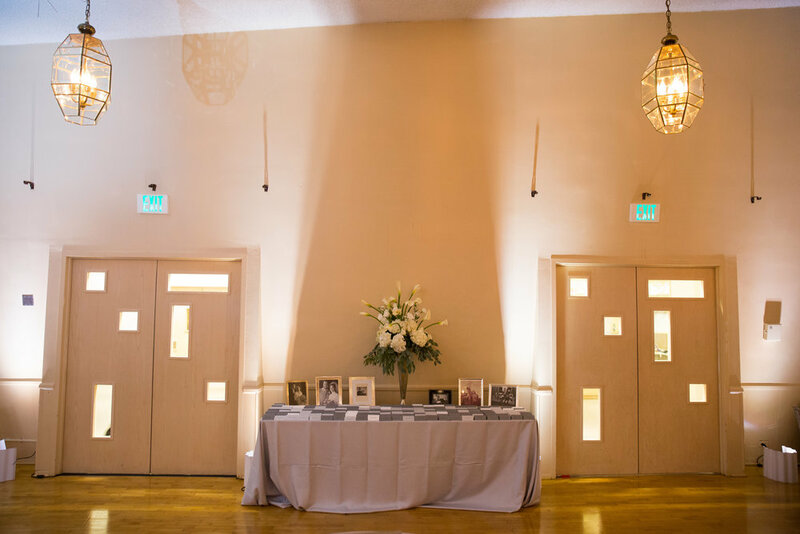 Within the sanctuary you will also find the Sue and Jerry Urfrig Family Memorial Room where we gather to remember those close to our hearts who came before us. Temple Akiba recognizes our loved ones by placing stones by their names each week during their Yahrzeit. The Sanctuary is also a family-friendly environment with a tranquil “quiet room” that is sound-proof and not visible from within the sanctuary, for those special moments when kids need to be kids. Sound is projected into the room so caregivers do not have to miss a beat. The quiet room can also serve as a Bride's Room or other small gathering place. This is where the fun happens! Perfect for gatherings of up to 200 people, the Social Hall is used for Oneg Shabbat, Bar/Bat Mitzvah and wedding receptions, dances, casino nights, you name it! Directly connected to a full-service, industrial kitchen, this Hall allows for easy access for service, maintenance and all event needs. 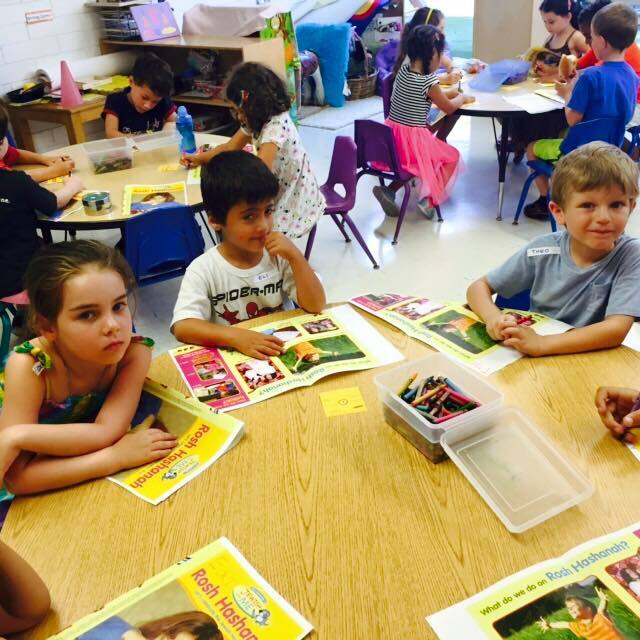 Temple Akiba provides an age-appropriate environment for all its students ages 2 through 18. Classrooms allow for a range of group sizes, from 12 to 30 and we take every measure to ensure all students are comfortable, safe, and surrounded by positive stimulation and the opportunity for growth. The classrooms and halls of the school are filled with student artwork and projects to show our pride in student work and community sharing. Free play is an integral part of a child’s healthy development, and Temple Akiba offers the space for children of all ages to explore and have fun. Safety is the number one priority and our playgrounds meet all playground safety standards and requirements. Leave the noise and stresses behind as you transition from the outside world into the sacred space of Temple Akiba. Relax as you listen to the beautiful sounds of the Andy Alexander Waterfall and take in the sights of the greenery and flowers. The courtyard not only serves as a transition space, but also hosts many outdoor services, meetings and play groups. 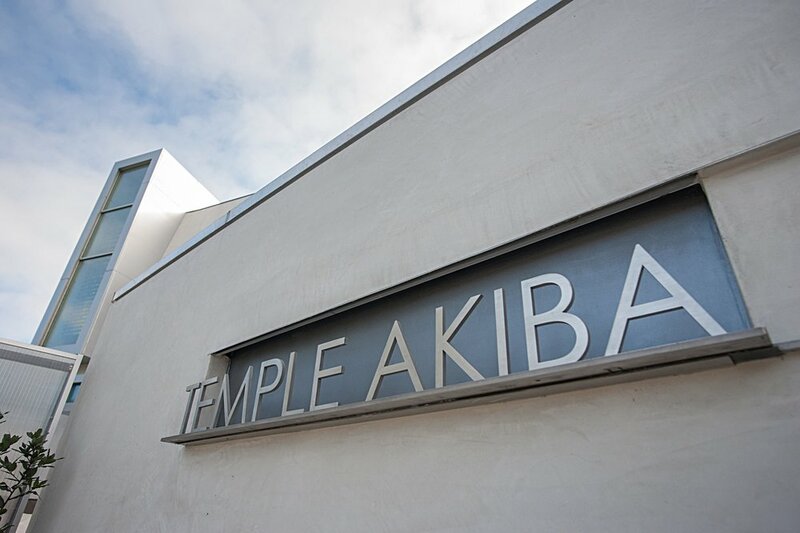 Temple Akiba and its multi-purpose facilities are available to rent for your own special engagements and life moments. Fill out the below to get in touch with Temple Akiba to start planning. Thank you for your message! A representative from Temple Akiba will reach out to you shortly.